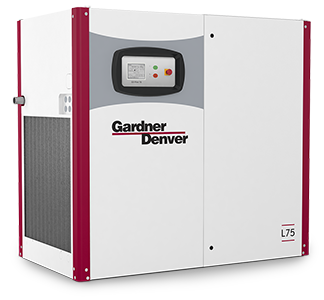 Gardner Denver's L-Series line of fixed speed compressors uniquely combine simplicity with cutting edge design. The result-a compressor that delivers outstanding performance with unprecedented serviceability. 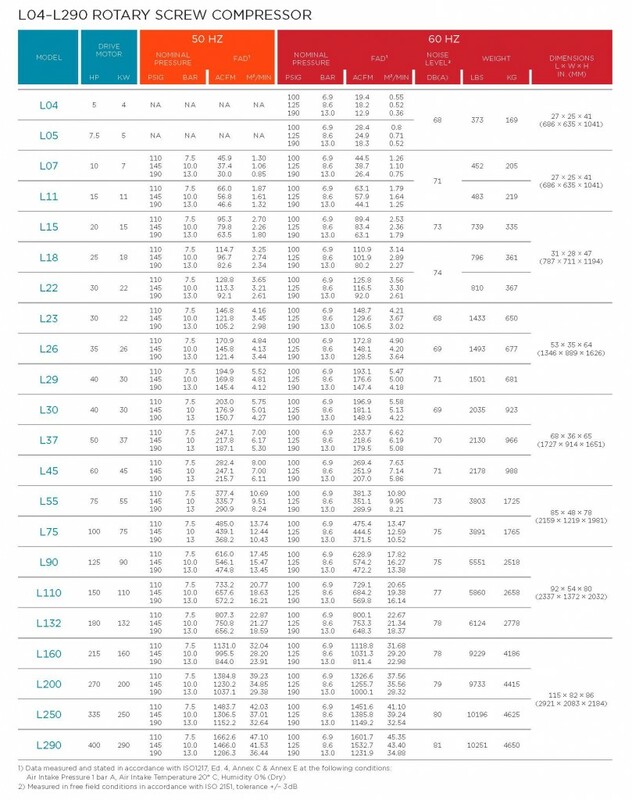 The L Series product range goes from 5 to 400HP. L04-L22 (5-30HP) are belt driven units, while the L23-L290 (30-400 HP) units are direct-gear drive. These fixed speed units come standard as air cooled with optional water cooling from 75 to 180 HP. All L series compressors feature GD Pilot controllers, wye-delta starters, 3600 TEFC motors and quiet enclosures.